Jordan provides clarification about her organization, the C.L.S.C. 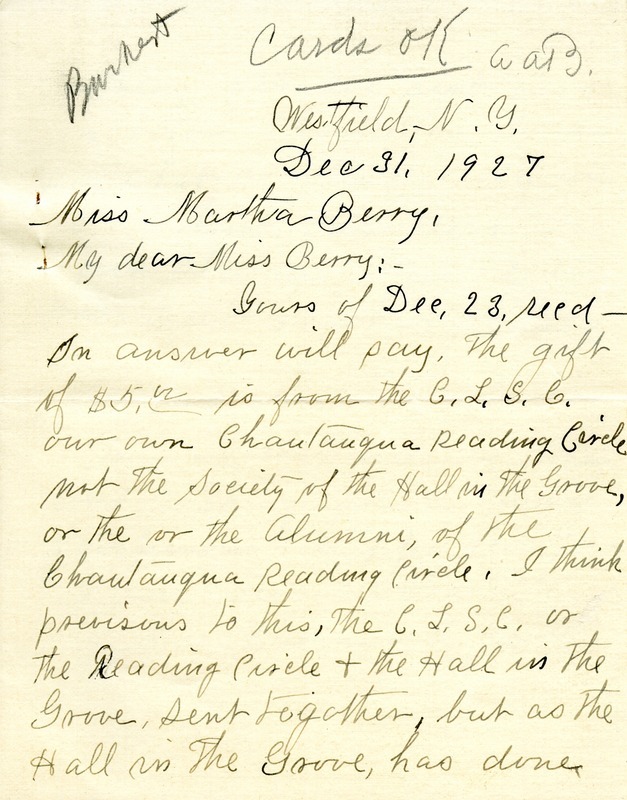 (Chatauqua Literary & Scientific Circle), a Chautauqua Reading Circle not to be confused with the Society of the Hall in the Grove or the Alumni of the Chautauqua Reading Circle. 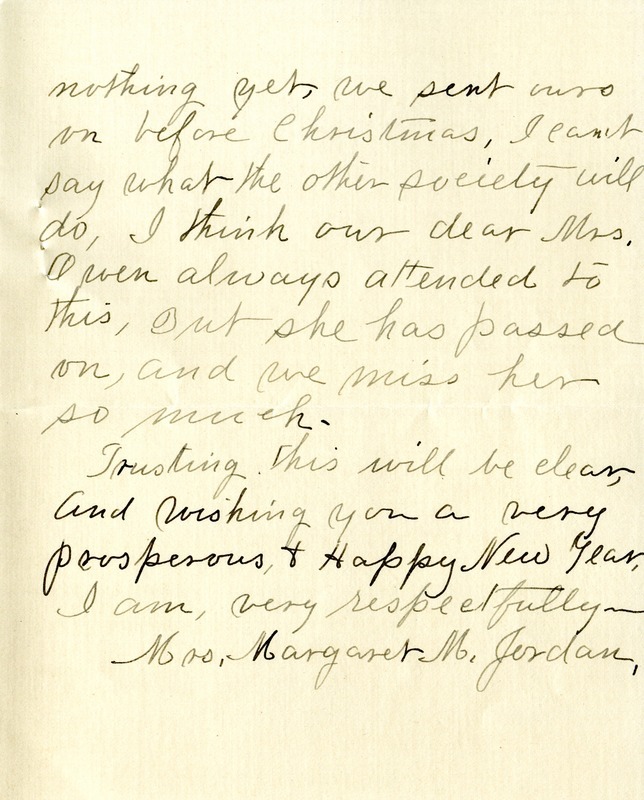 Mrs. Margaret M. Jordan, “Letter to Martha Berry from Mrs. Margaret M. Jordan.” Martha Berry Digital Archive. Eds. Schlitz, Stephanie A., Rachel Renaud, Sherre Harrington, et al. Mount Berry: Berry College, 2012. accessed April 21, 2019, https://mbda.berry.edu/items/show/4687.